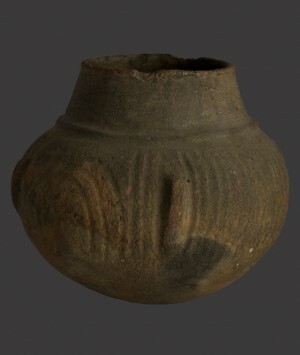 European pagan settlers came to Britain in the 4th century, bringing with them their customs and beliefs and ushering in an era often referred to by historians as the ‘Dark Ages’. East Anglia is particularly rich in Anglo-Saxon burial places with around a hundred known sites. 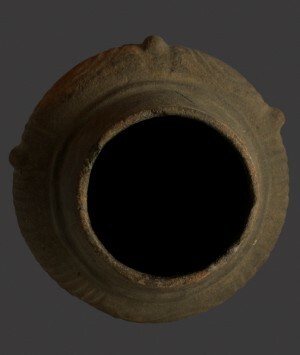 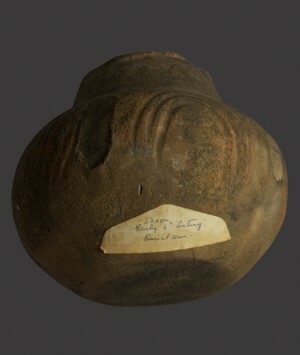 During the 18th and 19th century, (prior to the advent of modern archaeology and mechanised farming techniques), gentleman collectors and antiquarians became very interested in these ancient English burials, enthusiastically excavating and collecting material, the vast majority of surviving recovered cinerary urns now reside in museum collections. The thick walled bulbous body of this large, complete urn served to contain a deceased individuals cremated remains and as part of pagan ritual was subsequently buried, probably alongside accoutrement’s or personal possessions known as ‘Grave Goods’. 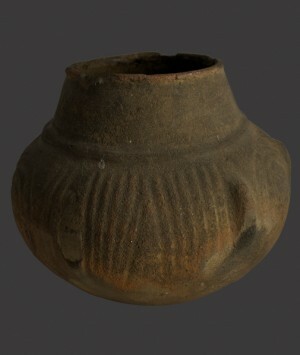 The urn is decorated with a series of grooved, linear designs, these are divided from one another by raised lobes, (of which three remain), which serve to form five separate compartments. Three of these compartments repeat an arch design consisting of three concentric grooves. 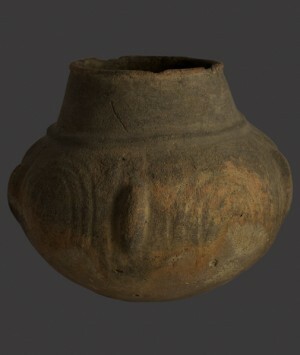 the two remaining compartments contain a wall or barrier formed from repetitive vertical lines, one is consistent, veil like and closed, the other revealing a central opening, usually interpreted to represent female genitalia, cleverly conveying and symbolising the suggestion of re-birth or the entering of another world.